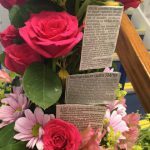 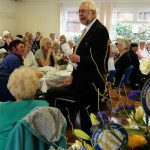 Home/Latest News/A Wonderful Two Day Celebration! 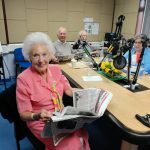 On the 29th and 30th June we celebrated the 40th anniversary of our Talking Newspaper service by hosting a thank you lunch on the Thursday for our many wonderful volunteers followed by an open day on the Friday to allow visitors to drop in and see what goes on behind the scenes of the production of the Talking Newspaper. 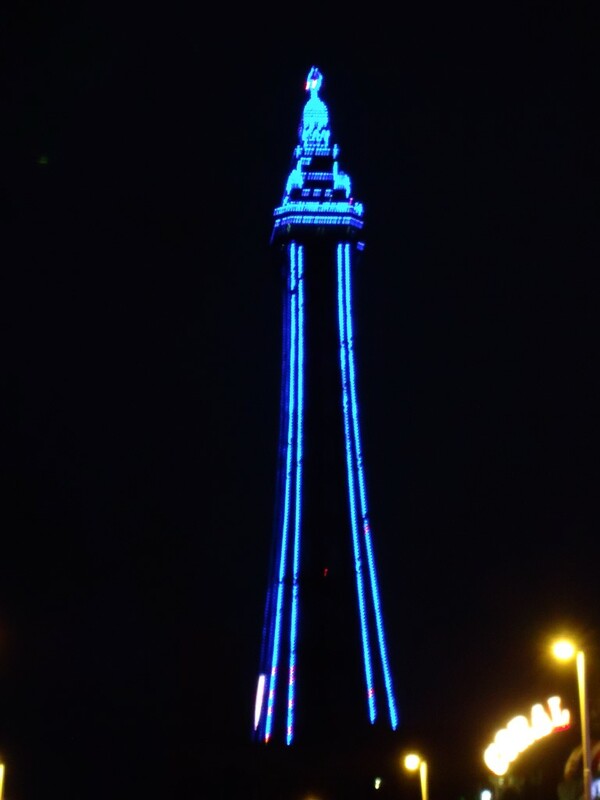 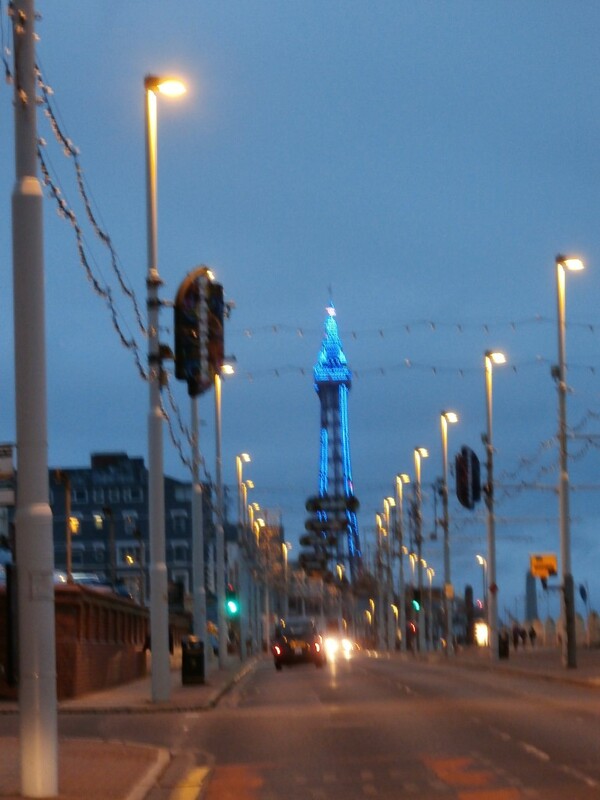 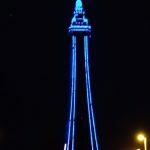 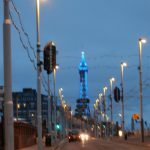 To honour our major milestone, the Blackpool Tower lit up in N-Vision’s colours blue and white, over the two nights. 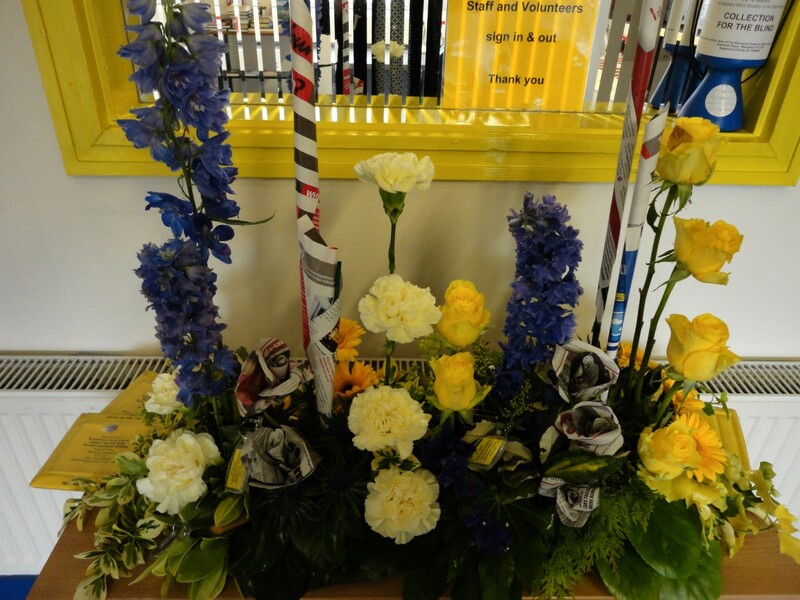 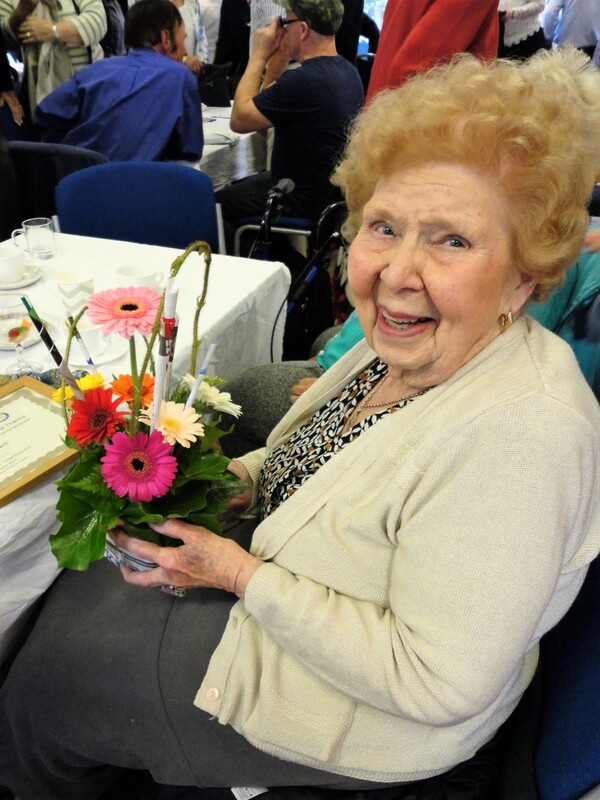 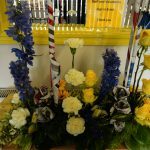 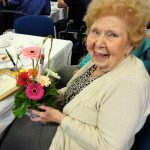 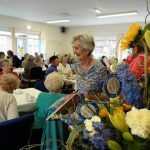 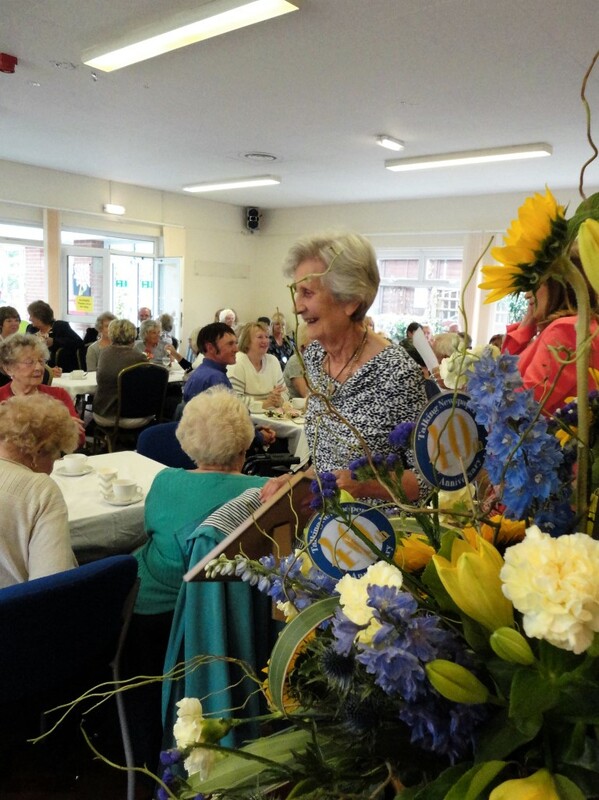 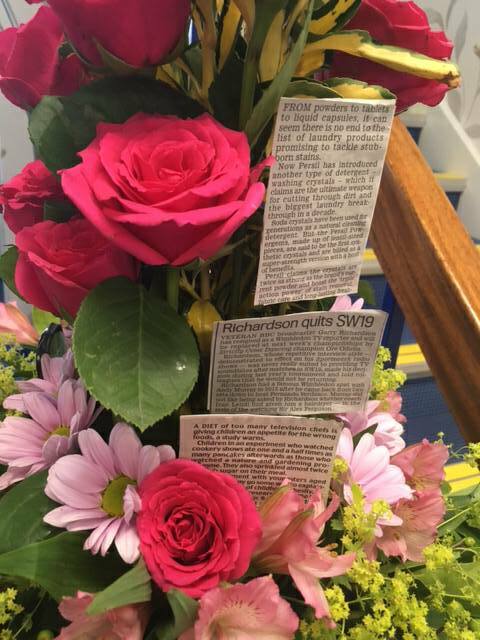 We also held a beautiful themed flower festival with stunning displays created by former members of the Lytham Flower Club. 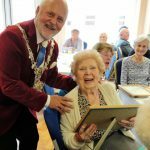 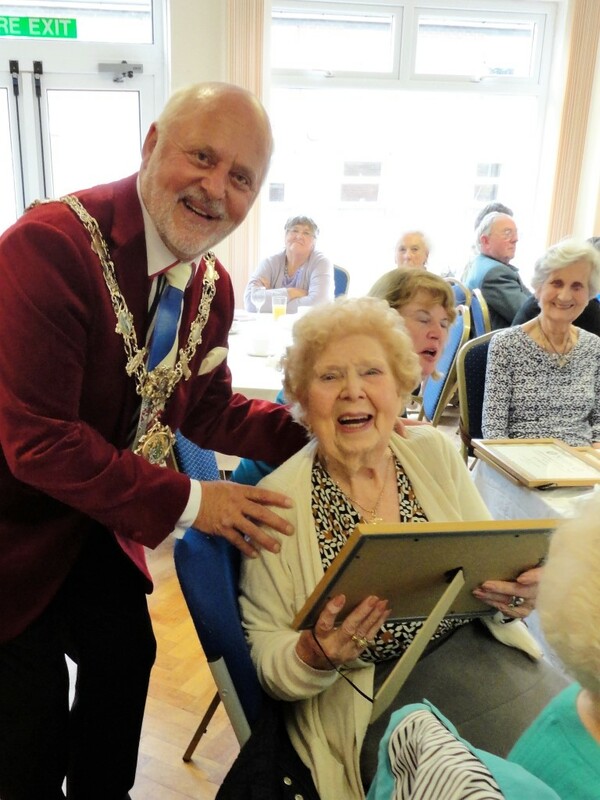 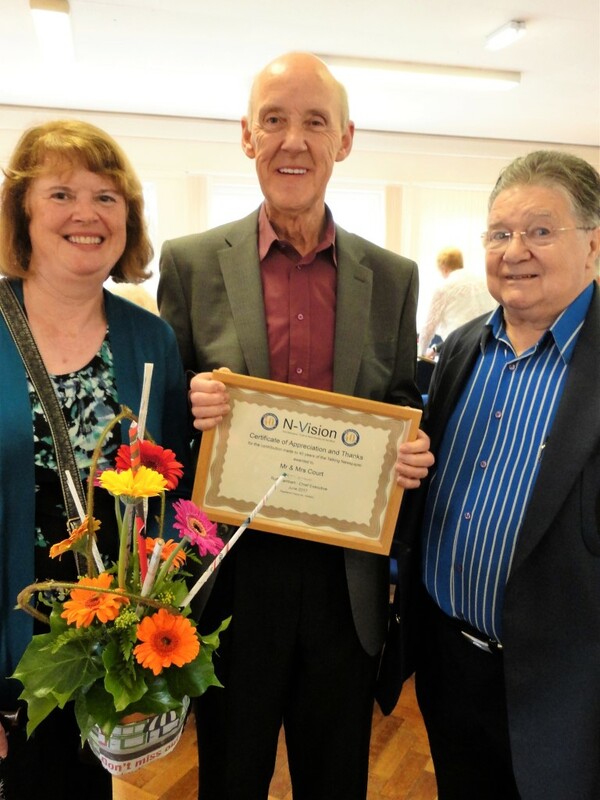 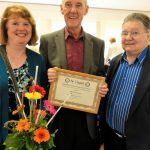 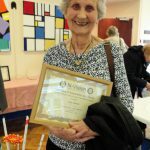 During the celebratory lunch we were visited by the Mayors of Fylde, Wyre and Blackpool who awarded certificates of appreciation and thanks to seven of the volunteers who have been recording for the Talking Newspaper since it started 4 decades ago! 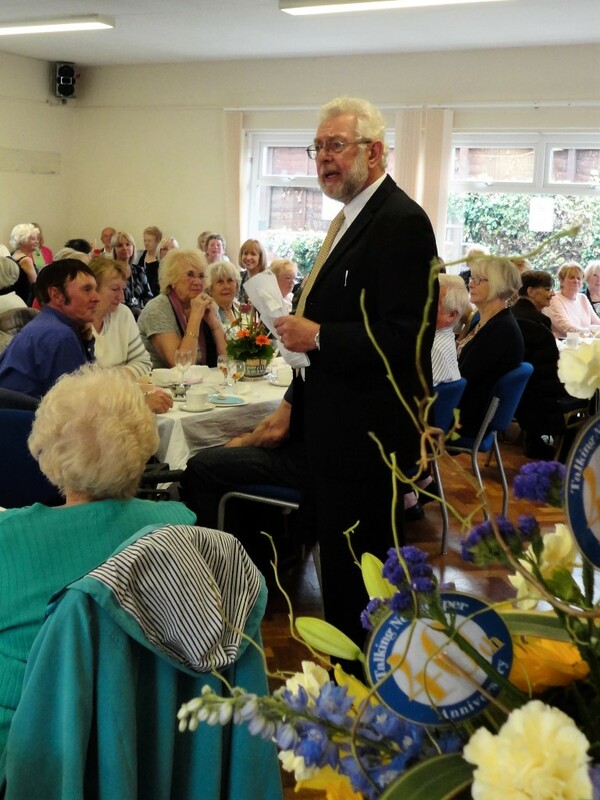 The room was filled with laughter as everybody was entertained by the comedian Johnnie Casson. 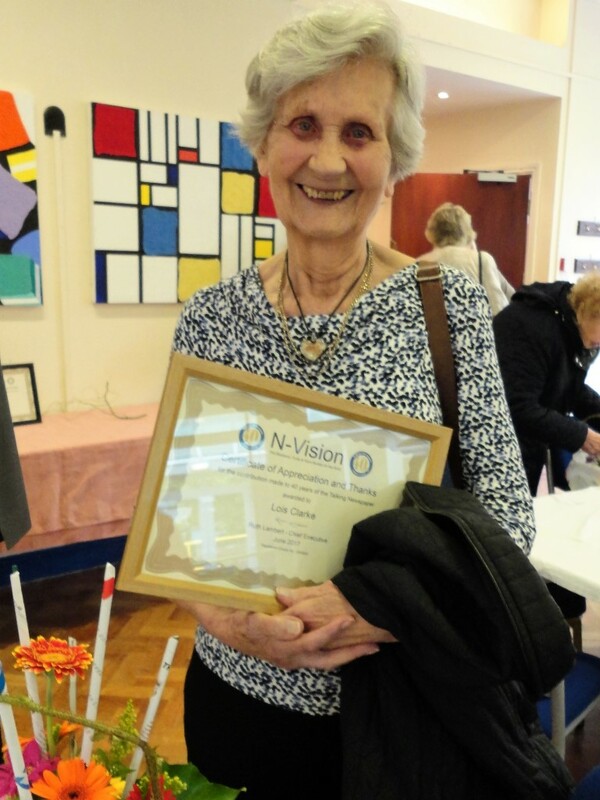 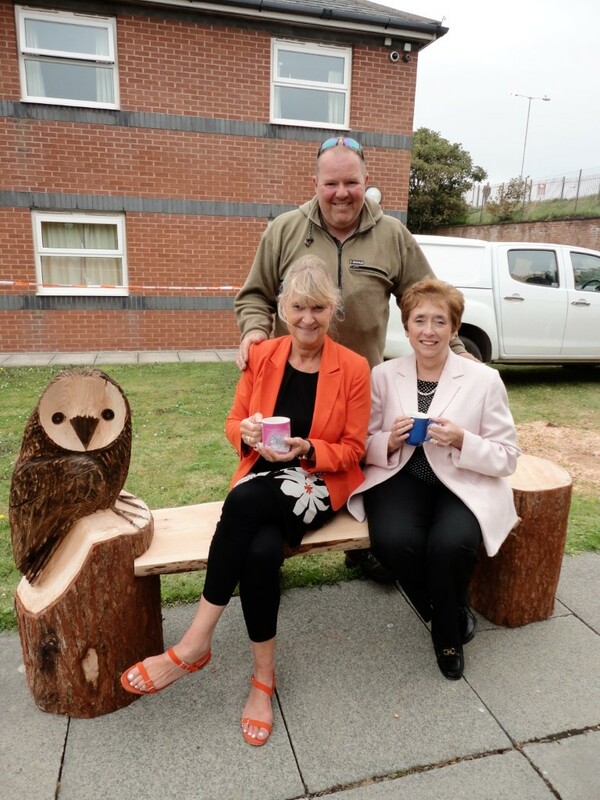 We welcomed many visitors to N-Vision on the Friday and we opened our grounds enabling guests to visit the Growing for Life project which encourages residents at the Princess Alexandra Care Home to pot up plants or feed the hens. 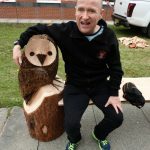 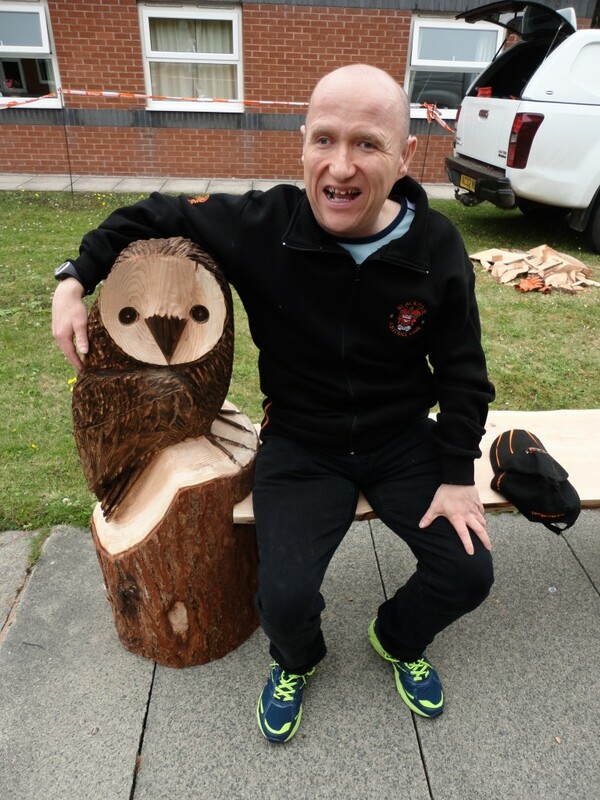 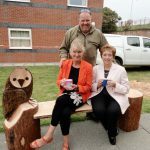 We also had a visit from the very talented chainsaw sculptor James Shelliker from Acorn Woodcraft who skilfully carved a larch wood “owl” bench. 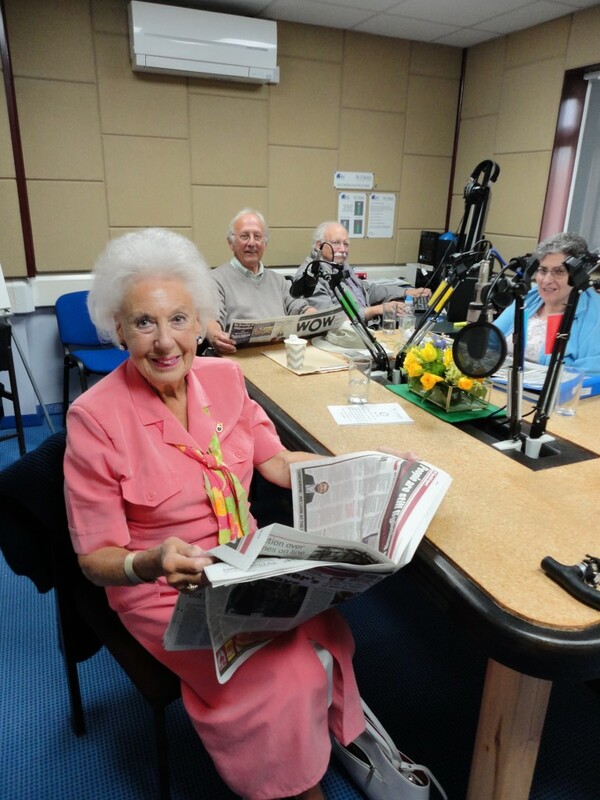 A fabulous two days celebrating such a valuable service which has provided many hours of listening pleasure to our subscribers over the past 40 years and hopefully for many many more years to come.